This is a complete early type English vise with all original parts. Here is my fave old leg vise. I assume it's English and I'm guessing circa 1800AD, although hardly anyone knows how to put a date on these. This one has the composite brazed construction on the box and screw. Its size is at the small end of the range of these wonderful old tools. The jaw width being almost 4.5" would indicate a 50 pound vise but the size of the screw indicates 45 pounds. This vise is offered for sale at $450, hopefully to a collector. These early vises have some major differences from later vises. The bench bracket is attached by a small tennon that passes through the leg and spring. A rather weak connection that was replaced later by a wrap around connection. The parts are held together by a small wedge through the tennon that held both spring and bench bracket in place. 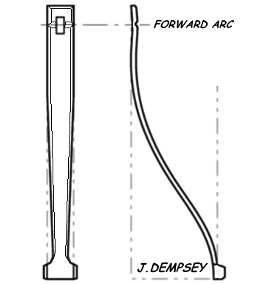 A slight forward arc in the spring put tension on the wedge so that it would not fall out during use. 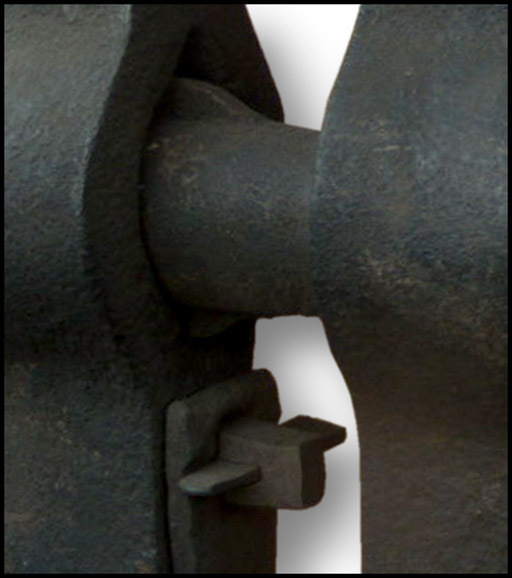 A similar wedge was also used to hold the pivot pin in place. The pin has an anti-rotation tab so that it cannot rotate and the wedge fall out. The springs on all these old English vises were hand forged and they all vary from smith to smith. But the standard features were a gentle taper then a fish tail that wrapped around the movable jaw. The overal curve of the spring varried, some with a double curve as I show and others with a single the bottom not riding so flat. When the tennon mount was replaced the general spring shape stayed the same for many years. 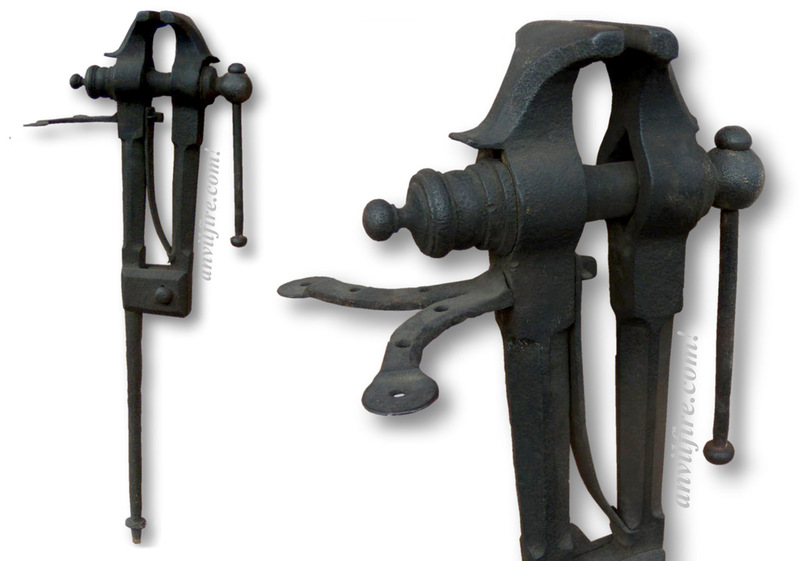 American made vises used much simpler springs that were often press bent without the graceful curves.